The new “drone services” startups are one-stop shops, providing both the drones to collect commercial data and the software to analyze it afterward. Over the last few years, drones have gone from being a contentious military tool for airstrikes to a far more mundane magnet for aerial hobbyists. But as drones move into the mainstream, entrepreneurs are finding ways to harness the technology as the core of their business ideas. Ryan Jenson showed its business potential in a demonstration for HoneyComb, his new Wilsonville, Ore.-based venture. His idea was to use drones to scout fields for irrigation and pest problems. If not caught early, such problems can cost farmers thousands of dollars an acre. He and his two co-founders at HoneyComb built a rough prototype. On a sunny day in August 2013, they gathered 50 growers at Gold Dust Farms, a 9,000-acre farm in southern Oregon that specializes in potatoes. Usually farmers scout for problems on foot, covering about 10 acres an hour. The AgDrone from HoneyComb can cover 700 acres an hour, producing high-resolution 2-D and 3-D maps that can be used to assess most aspects of crop health. As the drone soared in the sky above, the growers watched a screen nearby that showed a view from the drone’s video camera of the fields below. Once the drone returned, they saw photographs it had taken on its trip. One recent convert to HoneyComb’s AgDrone found an irrigation leak, saving him nearly $100,000 in crop loss. Another grower was able to detect the onset of blight in his potatoes early enough to apply the needed fungicide in time to save the crop. The company now has 16 employees and has raised $2 million in financing. 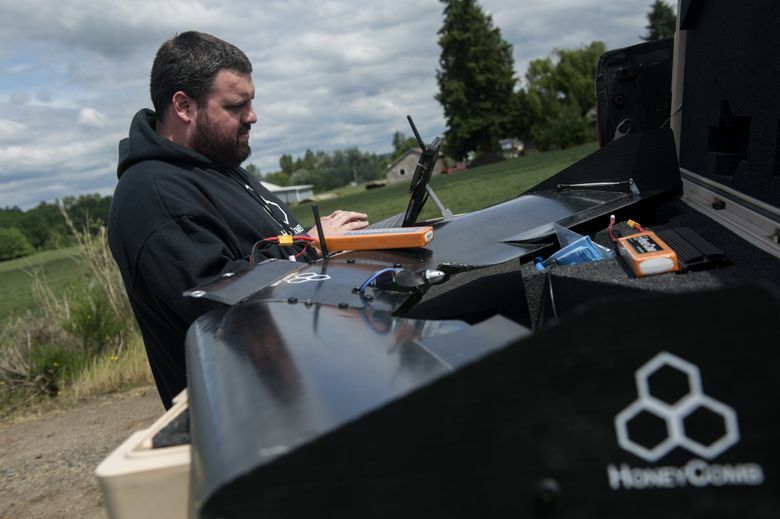 HoneyComb is part of a new wave of commercial-drone startups. Often described as “drone services,” these companies are one-stop shops, providing both the drones to collect the data and the software to analyze it afterward. “From catastrophe response to news gathering to construction-site monitoring, commercial drones represent one of the fastest-growing sectors in technology,” said Lisa Ellman, a partner and Washington, D.C.-based co-chairwoman of the unmanned aircraft systems practice at the law firm Hogan Lovells. While the opportunity looms large, starting a new business centered on drones (or unmanned-aircraft systems, as they are officially known) has its challenges, not the least of which are laws that seem to be a moving target. Many of these startups are small, and venture financing has been hard to secure. “The regulations have made it very difficult for many small businesses to pull themselves up from the bootstraps,” says Jeffrey J. Antonelli, a Chicago lawyer whose legal practice focuses on drones. But the rules are slowly falling into place for commercial use of drone technology. Since the Federal Aviation Administration started issuing what it calls “exemptions” in September 2014, over 5,200 permits have been issued to commercial-drone operators. Most have gone to larger companies. Companies in photography, film and real estate have received the largest share of these permits. 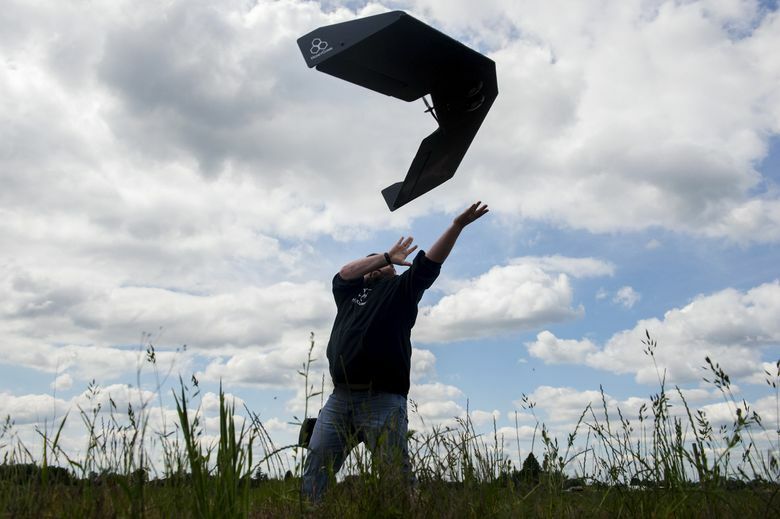 The biggest hurdle, most small businesses say, is that once they have the drone permit, they still need someone with a manned-vehicle license — such as an airplane or helicopter pilot — to fly it. Some commercial-drone fliers have not bothered to get a license. “Like Prohibition, the bar was set so high that many people have walked underneath it,” Antonelli said. But new FAA rules for commercial drones weighing 55 pounds or less, to be announced as early as June, could address that hurdle. One significant potential change would be to drop the requirement for a manned-vehicle license. Instead, drone-pilot certification would resemble getting a driver’s license, a process that could be completed in weeks rather than months. Some new businesses, such as Identified Technologies, based in Pittsburgh, have hired experts to address legal and regulatory issues. Identified Technologies uses drones to create 3-D maps of construction sites that allow clients to monitor progress, allocate crews more efficiently and detect problems early. The company has raised $4 million in financing. Identified Technologies recently brought on two employees who used to work with commercial airlines, with the aim of helping clients get the FAA exemption, find pilots, get drone insurance and complete paperwork. The company, founded by Jonathan Evans, a former pilot of Blackhawk and medical helicopters, also helps drone companies track who is flying a specific drone, in what location and at what time, creating custom reports with the information that regulators and insurers require.